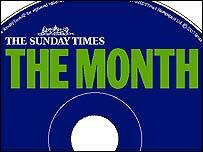 The Sunday Times has launched its monthly CD-Rom, The Month, as part of its Culture supplement. Does it add to the paper - or is it just a gimmick? With broadband finally becoming more and more popular, it initially seems a strange time for the Sunday Times to be experimenting with CD-Roms. But most UK internet connections are still too weedy to cope with the kind of content CD-Roms, on the other hand, can easily offer. In The Month, the Sunday Times has certainly hit on a gem of an idea, but it will need some refining yet before it becomes an essential part of its already-bulky package, rather than just a gimmick. Opening up the CD, you are greeted with the strains of Stereophonics' Have A Nice Day, as used in the paper's TV ads - which will either be either warm and reassuring, or like nails dragged down a blackboard, depending on your point of view. You also have to sit through at least half of an advertisement for a car manufacturer which is backing The Month - a little frustrating if you're itching to click around and see what's in the CD-Rom, especially as the ad has already been on TV hundreds of times. Then you are in, and greeted with the Stereophonics track again. 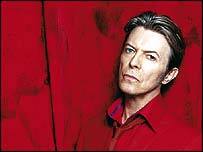 This month's highlight is an audio-visual exploration of David Bowie's career. Appropriately, the sound and the vision work well, but a lot of it is just clicking to read words on a screen - a bit like a glorified Powerpoint presentation. Some of this kind of material would be better off back in the paper. The Month's real strengths are in the music and film sections - click around, see and hear clips of what's out. For most people, this will be better than hunting these down or waiting for them to download from a website. You can also buy tickets for the films - although only through the chain which is backing the section - and buy the featured albums, with "if you like this, you'll also like..."-style recommendations. Classical and jazz albums are also featured, but these are unfortunately buried in the separate arts section, along with a feature on Andrew Lloyd Webber's art collection. But however attractive his paintings are, it seems gimmicky to have to click on a mouse to look at them when they'd be easier to look at in the paper. And without any clips to look at, the TV section is a disappointment. Trailers for games also work well, but the children's' section looks flat compared to the more grown-up offerings - although its new toys section, with a calculator to see how long you'd need to save your pocket money for, is a cute idea. Finally, there's a what's on section which depends on using a dedicated website. It is hardly unique, but works well and complements the rest of the package nicely. The Month is a good first stab at what could become an indispensable part of The Sunday Times. It looks good, and is bound to appeal to people who are put off by the size or stuffiness of the Sunday broadsheets. In time, it could stand alone away from the main paper. With opportunities for users to buy tickets and CDs, it could also pay its way. But it will need to concentrate on a CD Rom's strengths - the ability to deliver video and audio clips quickly and easily - and avoid gimmicky text-and-picture-based features if it is to succeed. BBC News Online users sent us their opinions on The Month. Here is a selection. I'm not a regular reader of the ST but the CD-Rom persuaded me to give it a try this week. Fairly impressed with the content and it was a good additional supporting supplement to the main paper. A fair few criticisms on this page but I think it should be remembered that the CD was effectively free and so if you don't like it or don't want to run it there is no big loss in the same way some people may discard some of the paper supplements. Interestingly, my younger sister spent 3/4 of an hour working through the CD therefore bringing the ST to a younger audience than it may ordinarily appeal to. Finally in response to the comments regarding the adverts; while they may be a little frustrating I'm sure most users would prefer this as an alternative to an increase in the cost of the paper. I was looking forward to the Bowie feature and unfortunately the video part decided to die. Went back to the Newsagents to complain and got a second CD which did the same somewhere else. At least it made me clean my CD drive..
Nice idea, potentially, but the video clips are rubbish; click to make them full screen and you get a jerky, blurry out-of-sync RealPlayer-style mess. Clips from Seal's new album sounded good, though. After being bombarded by the Stereophonics for the umpteenth time I wish the CD hadn't worked. The only thing remotely admirable about The Month is that a bunch of people have manged to blag their way onto the team producing this drivel and are getting paid for it. It fills me with hope, I love it. A missed opportunity. Thirty minutes-worth of eye candy and adverts. If the CD included the full TV listings for September it would have been great. Oh...and as soon as it auto-ran, it tried to connect to the Internet...sneaky. It's a good thing that my firewall blocked it. The thing about this CD is that it gives Games equal billing as an entertainment form. Your review relegates them to "Trailers for games also work well". Very disappointing - too many commercial messages and editorial is very bland. Doesn't offer you anything you couldn't get better on the web. A fairly insubstantial addition to the newspaper, but with a lot of potential. My one major gripe is about the what's on section. There was no separate format for clubs, music, events - it was all laid out exactly the same as for film releases. I don't need to know the "release date" of an event, but it would be useful to have some indication about what the event was about. More information, less pointless text. Sorry, but who wants to go near a computer on the weekend? And the content is lame and bitty. And when i tried it at work today it crashed my computer. Thumbs down. Stereophonics song, very irritating. Car ad even more irritating. Navigation - non-existent. David Bowie feature - good, but annoying sound loops which were repetetive and did not enthuse one to spend time on the feature. Links in this section were ridiculous. At least it has added to my allotment's bird-scaring collection. Saw the CD advertised on TV and decided to buy the paper on the strength of it. Unfortunately, when I popped it in the CD drive the first thing I was presented with a 60-second Renault video advert, and had to watch it right through as there appeared no way to stop it. This also appeared very time you put the CD in. As for the content the layout was very good, and simple to navigate but the content was sparse especially music clips which were very short. Overall it reminded me of the discs attached to computer mags from about 5 or 6 years ago, but with a bit more thought and content it could be very good. The Month is a great idea, and ST WebWatch Editor James Knight is to be commended for a job well done. Very poor show, too many ads, poor clip images, and should have been on DVD. I thought everyone might like to know that CDs can be recycled - enter "CD recycling UK" into a search engine to find out how to turn your unwanted The Month CDs into something ultimately less wasteful. As a massive fan of David Bowie, I appreciated the Month's feature on him, but I could've done with more video interviews and less text, however interesting and amusing it may have been. I also could've done with less advertising, although I'm sure that this is how the Times affords this new foray into CD-Rom technology. Well, well, who's been on a Flash course then? Gimmicky, overrated rubbish with no substance. Perfect for the Sunday Times. I was very impressed with the CD - especially the links to cheap Bowie albums through the shopping link! I agree with most of the comments about it being very lightweight with regards to the film and music clips etc. My main gripe though is that I got the impression that it had full TV listings for the coming month on, which it doesn't. Instead we have a handful of "highlights of the month", which very briefly comment on which programmes might be worth watching. Except it doesn't tell you when they're on. I probably wouldn't replace my paper TV guide with a CD-ROM anyway, but it's still a missed opportunity in my opinion. The operatic samples were overly short but I think that I shall be persuaded to buy the CD of the Russian soprano, whom I had never heard of before; so yes, the CD did achieve something for me. Nobody, not even your BBC reviewer, appears to have read the small print in the accompanying insert that tells users that the CD will install a file that monitors your usage and reports it back to Times Newspapers Limited. Are all you guys who have praised the product happy with this? I don't think so! The Times should remain the master of it's traditional medium - paper. Leave the gloss and dross to the rest. Worth noting that the CD put the price of the paper up by 10p. I hadn't noticed it was £1.40 today although I guess my paperboy would have advised me! Overall the CD-ROM was OK but no breakthrough in terms of Multimedia publishing... as a regular addition it will improve though... Murdoch products generally do...Remember what Sky was like when it launched in 1989? Now it's head and shoulders ahead of the terrestrial mob! Two points about earlier comments. The CD may save trees (although it doesn't, as it comes with the paper which is the same size as ever), but CDs are notoriously difficult if not impossible to recycle and contain many chemicals which won't break down in landfills. Secondly, why move to DVD from CD for this exercise? As the review states, there's not enough content to fill a 700Mb CD. How could they expect to fill 18Gb of DVD space? Plus DVDs are still more expensive to mass produce and it seems that the forced advertising is the part that's put most people off. Excellent idea.Better to judge the movie clips yourself than rely on someone else's opinion. Also thought the music clips were a great idea. I'd like to have given the Times feedback directly but their site is just not accessible tonight. As an inveterate ST reader I wasn't expecting too much from this gimmick. I wasn't surprised. What a pathetic cheap attempt to grab a few transient extra purchasers. My CD is in my bin as I write this. I will continue to buy the ST as always. It is the best newspaper I've ever come across, but that annoying CD once a month will never be opened again. My bin is anticipating Oct 03 already. Come on ST, don't dumb down, don't compromise your quality, leave the cheap tricks to your News of the World cousin. The Sunday Times has great album reviews in it's culture section, quite often showcasing little known bands and singers. I was expecting to be able to hear clips from these rather than the mainstream artists featured who crop up everywhere. I was disappointed. I thought it was fantastic and shows what can be done when you don't limit yourself by thinking only of print or web. Thinking out of the box! Congratulations Sunday Times for getting in there first - again. I'm sure it will be much-copied and will be much altered within the coming months and years, but it IS a true innovation. CD-Rom (or DVD) supplements will be around now forever, and just like the naysayers who said colour magazines with newspapers (another ST invention) were unnecessary and wouldn't catch on, everyone above who said this will fold will be proved wrong. It ain't perfect, but it's the start of something big. The CD might eventually be good but it needs some re-thinking, particularly the overall design. I would prefer to browse the CD using a standard browser and I strongly object to having to view it full-screen, with even the task-bar obscured. This means I can't even tell if I am on-line or not (this is important to the many of us still stuck with standard dial-up) nor can I operate other programmes at the same time. Doing an on-line price comparison to the Times shopping prices is therefore not possible while actually browsing the CD. I also dislike the excessive adverts and having to wait for Flash to keep loading up. Finally, the Kids page alienates boys - sponsored by Barbie of all things! Girls old enough to be able to read that bit have grown out of Barbie and boys just think "uurrghh" (at least that's what my 8-yr-old son said, he also thought the toys were all far too girly). Somewhat late this - I originally designed this concept for the Sunday Times in 1995 and the plan was to also distribute the CD's through the Dixons Group - who later invented Freeserve. I guess that someone has been finally clearing out Andrew Neil's desk! I wasn't going to try the CD, but decided to see whether it was up to the hype. Having to sit through the introduction and a car ad put me off straight away! 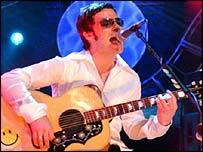 Liking the new Starsailor song I decided to give the audio clips a try. What a let down! The clips are too short to get a taste of the tunes. So, the CD went straight into my bin. The only plus-side is that unlike other Sunday Times CDs in the past it didn't start installing lots of unwanted software!! Loved it, never usually buy The Times, I will certainly be buying it at least every month. Yes I thought it was excellent quality and it was good to see The Sunday Times including Apple Mac users. Well worth the £1.40. Very handy and an excellent reference. I'd tell you what I thought of it if I could get it to work. It hangs half way through the first advert. Isn't the CD-ROM a bit yesterday? Wouldn't it make more sense to produce it in DVD-video format? Clumsier to read than the paper. But it does save trees!! The film clips were very useful - in fact, one clip put me off the film! All the rest would have been better in the paper. I probably won't bother again unless the films interest me. I bought the Sunday Times specifically to look at this item. It was disappointing in that there was no depth to any thing. Most items were static and it was produced more like a paper than an interactive program. Hopefully they will work harder to make it better and/or find a company that can produce a better product. It was a nice stab though hardly any more innovative than magazine based CD attempts of 7 or 8 years ago. I felt a bit patronised by some of the Bowie text that has highlighted links that were often just a link to a small picture (eg: a passage that metions Lou Reed, has his name highlighted, so you click expecting more info on Lou Reed but you get..er.. a tiny picture of Lou Reed- hardly stretching the medium is it!!). I always feel that magazines/newspapers miss the opportunity for access to their huge back catalogue of articles. I applaud them for trying , though even if the medium (CD rom)hasn't moved on much. I have never bought the Times before and I only got it today for the cdrom but yes excellent,especially the trailers for the videogames. A great idea,let's hope they don't run out of ideas after a few months. My 11 year-old loaded it up with great expectations but soon became very frustrated. He is used to being able to play a demo of games on CDs, not to sit back and watch a short video. Maybe I was reading too much into it, but from reading the blurb I certainly had the impression he would be able to play them. I remember getting a click-and-watch multimedia sampler with my first ever two speed CD-Rom back in the days of Windows 3.1. Thank you ST for the nostalgia trip! Film clips and audio clips were the highlight - all available over the internet anyway - but this format has them in one place rather than trawling through web-sites looking. Seeing as this has to be played on a computer anyway why not ditch the majority of the text in favour of audio-reviews, and bump it up to a DVD rather than a CD if necessary. Worthy addition to an already comprehensive Sunday paper. Not a bad first attempt, a bit static (words in the paper, video and sound on the CD ROM please!) but not bad. Would have been nice to see a few more complete videos (how about some back catalogue stuff?) and I thought both classical and jazz were also music - must have been mistaken. 7/10 for effort, must do a little better next time. Never ever buy the Times. Bought today to check out the CD which I haven't got round to yet. Trouble is, even if I like it, I've been put off ever buying the paper again due to it's political sway, which I knew would be to the right, but never imagined would be so infuriating. The Times branding is confused. On the one hand it wants to be the cool Stereophonics, David Bowie, Style and interactive CD paper and looks to The Guardian. On the other hand it wants to be the Telegraph. The mix is an unhappy one. I also bought the Times to take a look at this and it's about par for what I expected. The design is nice, I'm glad it's mostly static, the emphasis should be on the content, not making things zoom around like a video game. The sections with audio and visual worked well, it's obviously been thought out - the ability to view the video at a larger size for example - but the quality of the video was a little disappointing (especially when enlarged) and the audio clips much too short. I agree that DVD would be a better format for 'The Month' allowing better quality video and audio as well as pulling the experience off the computer and onto the television for many people with consumer DVD players. Overall a good effort but let down by an aging format and some miserly multimedia. Messed up my whole computer- couldn't access any websites and just got stuck on the Renault ad page- disappointing, time consuming and irritating... but I'm sure it is good. It gives the impression of having been put together by someone who knows much more about print design than on-screen design. The fact that it insists on taking up the whole of the screen, rather than running in a window, is both irritating and unnecesary - the actual size of the clips means a large grey border on my monitor. And the inability to skip the intro and adverts tends to discourage repeat viewings - once is OK, but it gets very tiresome on subsequent visits. Having said that, nearly all the useful content can be accessed manually by browsing the disk with Windows Explorer, so I would expect many computer-literate users to take that route. I have large picture windows in my living room and birds keep flying into them, usually breaking their necks - it's most distressing. However, I find that if I hang the Sunday Times CD ROM on a string outside the window they stay well clear. Thank you, Sunday Times! I think it should be on DVD - Many more could view it and i would not have to dust off the old Windows machine to view it! Full marks for allowing Apple Mac Users to access this CD ROM. So often is the case that these CD's drop out of newspapers, (including the ST ) for Windows use only. My only gripe is that I couldn't access the competition to win the £1000!!!!!! If the CD ran on it's own it would make a good opportunity for a cuppa. To return hopefully when it's finished. Junk mail - junk CD. I found the CD-ROM a little primitive, it would have been better if the content was delivered in DVD-ROM format with compelling full screen video and a lot more added value content. It's definitely not enough to replace the paper version. I give it 10 issues before it's canned or re-invented through broadband. Yeah it's a great CD of adverts. Very good,I always buy the Sunday Times and just makes a nice addition to the paper. A paper supplement is much more comfortable to read in bed than a laptop, and easier to recycle. Was looking forward to this new media feature of the ST. A nice start, though the CD was only half full. Most disappointing was the lack of any video clips within the TV section. Great idea , perhaps the future of newspapers should all be published this way, download your newspaper online , instant news at far less cost ! Isnt this what the BBC site is anyway ? I bought the Times because I wanted to hear Bowie - but nowhere in the hype was it mentioned that this was not a music CD or that it had to be played on a pc. They could have just put all this on their web site and published a link in the paper surely? I hope they got a load of money from Renault 'cus as far as I'm concerned I won't be buying it for the CD again! Terrible design and very user-unfriendly. Too many obstacles to get to content. The CD should have used IE as an existing browser rather than use its own browser. I wasn't even prompted to download Flash player to watch the video clips either. Back to the drawing board it seems and quick fast. Not bad for a first run. Interesting material, good What's On section. Would like to be able to move around the CD easier, i.e. not get stuck in the advertising! Overall, will not stop me buying the Sunday Times. Pity - I am a regular Sunday Times reader; no provision for Linux users who are now greater in number than Mac users. Just the usual stuff for the uneducated mass that use Windows and the fluffy creative types in the West end of London who use Macs! I get the Sunday Times delivered but didn't bother with the CD rom. A paper supplement is much more comfortable to read in bed than a laptop, and easier to recycle. What a waste! I'm not sure of the circulation numbers but it is substantial enough for a lot of CDs to go to waste. Well, I can get around the disk OK but the video clips don't work, even though I had downloaded MacroMedia Flash player only a few days before. Would it not be worth simply using the old MPEG-1 video format? You'd get a lot of very watchable video out of it (at least VHS standard) and in a more friendly form. I couldn't access the competition either, which was annoying. Otherwise I thought it was a reasonable effort. I enjoyed the trailers and there's enough content for other members of the family to dip in and out of...and it's the right price. Another CD-ROM which promptly hung my PC, and will probably end up in a landfill site with the various AOL ones. What happened to good old paper which can be recycled? It won't run on Linux! This CD may impress some, maybe those new to the computer generation. But for most of us, what a waste of time. The DVD and film sections offer nothing you can't see online. The music section is just a blatant front for their shop with its outrageous prices (they want £14 for the Elvis Costello CD, whereas I can buy it for £9 elsewhere with a free DVD). The rest I won't bother looking through! We normally get the Sunday Times delivered, but it didn't arrive today, so I guess the CD is in demand & the paper boys & girls are selling them off at a profit! ?